Creating an international network of managers working in different economic activities who are available to provide with information to Italian SMEs about management practices for their internationalization process, building up a cluster of Italian SMEs ready for internationalizing their business, fostering dialogue among MENTOR and Italian Institutions, Trade Associations and all bodies supporting SMEs in order to improve performances and identifying critical issues and opportunities to work on, promoting this network and going deeper with feedback of all experiences acquired with MENTEES: these are the main objectives of the project “Chamber Mentoring for International Growth”, promoted and co-financed by Unioncamere within InterChamber Fund 2016, in straight cooperation with Assocamerestero and Chamber of Commerce of Turin, thanks to its experience with the project Meet@Torino. The project aims at creating and activating a network of managers, researchers and/or entrepreneurs connected to Italy for different reasons, nationality, study, work or interest, and living abroad who are available to become a MENTOR by offering their experience to Italian SMEs (MENTEE) interested in increasing their competitiveness on international markets. An assisting and guide path that it was born from a strong action of Italian Chamber of Commerce in Italy network and Italian Chambers of Commerce Abroad one, in favor of Italian SMEs. Forty-two proposals were submitted to Unioncamere and only 29 Italian Chambers of Commerce Abroad gained the project “Chamber Mentoring for International Growth”: Aarhus, Barcellona, Belo Horizonte, Bruxelles, Bucharest, Buenos Aires, Mexico City, Florianopolis, Frankfurt, Houston, London, Los Angeles, Luxembourg, Madrid, Marseille, Montreal, Moscow, Mumbai, San Paolo, Sharjah-Dubai, Sofia, Vancouver, Zurich and Czech Republic. Italian Chamber of Commerce in Bulgaria, together with Italian Chamber of Commerce of Crotone, Genova, CESP-Centro Servizi per le PMI-Azienda Speciale CCIAA Matera, Perugia, Salerno, Varese e Verona, project partner, will implement the first phase of the project that is identification and selection of MENTOR, manager, researchers and/or entrepreneurs residents in Bulgaria who are holding TOP positions in companies or Universities, closely to Project Team and with teh network of Italian Chamber of Commerce in Italy that it will select MENTEES. 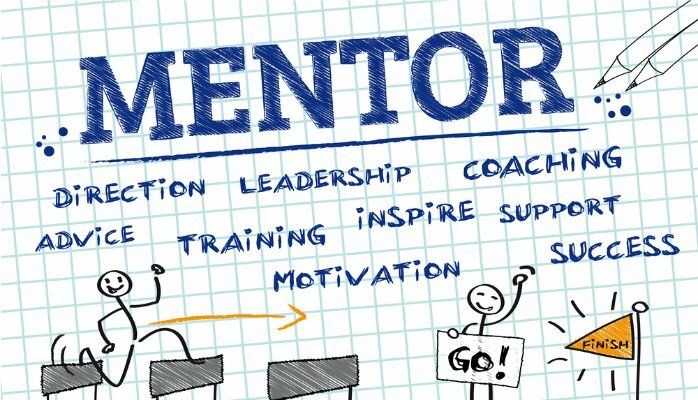 Apart from identification activity, Italian Chamber of Commerce in Bulgaria will implement promotion, matching mentor-mentee, relationships monitoring and mentoring plan for the whole duration of the project. holding management position (business development department; R&D) or a standing position in a Institute for research or University. interested in extending his personal competencies. If you are keen of joining this international network composed by professionals, companies and Institutions, increasing your professional relationships, enlarging your business, please do not hesitate to send your application to segretariogenerale@camcomit.bg by 10th March 2017. Italian Chamber of Commerce in Bulgaria has been chosen as partner of the project “EXPERIENCE AND BEYOND SOUTH ITALY – Italian Restaurants in the World of Italian Hospitality promote Made in South of Italy“, promoted by ISNART, National Institute for Tourism Research, cooperating with Unioncamere and with the contribution of the Ministry of Cultural Heritage, Activities and Tourism, for the promotion of Italian regional food and wine products, Italian Restaurants in Bulgaria, agri-food products and regions of the South Italy: Basilicata, Calabria, Campania, Apulia, Sicily, Sardinia. The main purpose is the promotion of Made in South of Italy gourmet products and connection with their territory of origin. For this purpose, a communication and promotion campaign will be realized abroad throughout traditional channels, social media and apps, in order to promote abroad food and wine local excellences in the South of Italy, throughout the creation of a specific web platform and promotional events either in Italy or abroad, thanks to Italian Chambers of Commerce operating in Target Countries: Bulgaria, Belgium, Denmark, France, Germany, Netherlands, Poland, United Kingdom, Czech Republic, Spain, Sweden, Switzerland. From June to September 2016, Italian Chamber of Commerce in Bulgaria will organize a promotional week and event night involving Italian Certified Restaurants with the Seal “Italian Hospitality Quality”. Italian Chamber of Commerce will select tour operators, bloggers, journalists, buyers and sellers for their involvement in famtrip/educational tours and workshops planned in the Southern Italian Regions, whereas foreign delegations will meet Italian excellence companies, producing pasta, EVO, cheese, cold cuts, fruit and vegetables, agro-preservatives, meat, wines and sweets, all certified with DOP, GPI, STG, DOC, DOCG, IGT. For more information, contact the offices of the Chamber of Commerce in Bulgaria, Rosa Cusmano, Secretary General, segretariogenerale@camcomit.bg and Elena Tarkalanova, Deputy General Secretary, coordinatore@camcomit.bg, Tel. +359 (2) 846 32 80 / 1. “This international initiative brings together for the first time the promotion of the tourist areas and of the bio products with southern origin mark, through a multilingual platform created by Isnart that integrates with the network of Italian restaurants in the twelve selected European Countries and certified with Italian Hospitality”.This was stated by Maurizio Maddaloni, President of Isnart, who added: “In these two months, September and October, in Europe the food will speak Italian and will have the accent and the unmistakable taste of the South, with the guarantee of a certification chain that joins manufacturers, products and restaurateurs”. More than 200 Italian restaurants in 12 European Countries with 9 million clients p.a., selected among the 2000 certified restaurants abroad with the “Italian Hospitality” Quality Brand, that are involved in the event, and 200 thousand people that will be able to appreciate typical plates and products of 6 Italian Southern Regions and to discover the tourist places in September and October. These are the main numbers of the event “ItalianFoodXP – Experience Italy South and Beyond” created by ISNART, National Institute for Tourism Research, cooperating with Unioncamere, the system of Italian Chambers of Commerce and with the contribution of the Ministry of Cultural Heritage and Activities and Tourism (MiBACT). The project is based on a digital strategy that focuses on the promotion of certified food and wine production of Italian Southern Regions and on 400 under-40 producers selected by public competition announcement through a single, integrated platform with the network of Italian Restaurants in the World certified with “Italian Hospitality”. A multimedia platform (www.italianfoodxp.it) and a Facebook page in multiple languages for all nations involved are activated with the possibility to share all contents on social networks.This is the first international event that brings together the areas and the tourist places of the six Southern Regions and the excellence of certified production (DOP and Bio), through an action of promotional marketing, off and online in 12 European countries (United Kingdom, Sweden, Denmark, the Netherlands, Belgium, Germany, France, Switzerland, Spain, Czech Republic, Poland and Bulgaria). Selected producers will be able to introduce their brand to customers of restaurants through links to menu realized during the thematic weeks of the food of the southern regions, organized in partnership with the Italian Chambers of Commerce abroad, and customers will be able to get information on products of offered dishes and to discover the area of origin also for a future vacation; furthermore customers will be guided in wine and food tasting and tourist tours of excellence by a designed app of the event. In the period from September to October, for a whole week, the certified Italian restaurants of will offer in every country a menu inspired by the cuisine of southern Italy. During the week in some restaurants are planned events that are entirely dedicated to the South, with entertainment evenings, presentations and tasting of certified products together with the promotion of the tourist areas of the South, with the participation of local agri-food operators, journalists, stakeholders and local and Italian authorities. The event includes a period in Italy to support the marketing of local products and the tourism enterprises participating in the initiative through an agenda of educational tours to be held in September and October in each of the South region, with the cooperation of Chambers of Commerce and the presence of foreign delegations of selected countries formed by buyers, importers, tour operators, travel agencies and communication operators expert in food & tourism (around 400 professionals). Provided workshops and visits to factories. See press release from ISNART clicking here. Italian cuisine is the result of a centuries-old historical process of Italian society, always leading to significant moments of human civilization. For an innate inclination to the attention of the Italians to human relationships and the quality of life, the culture of the table has become in the course of time the symbol of hospitality and welcome, the food has taken on a value like art and music. For these reasons, the Italian food should be considered a contribution to the heritage of humanity and should be defended and protected from adulteration and falsification to preserve its history, culture, quality and authenticity. With this in mind Unioncamere, on the basis of the experience of the brand “Italian Hospitality” carried out with the operational support of IS.NA.RT (National Institute for Research on Tourism – A company owned by Chambers of Commerce), promoted the project “ITALIAN HOSPITALITY, ITALIAN RESTAURANTS IN THE WORLD” addressed to all the Italian restaurants abroad, ensuring compliance with quality standards typical of Italian hospitality. to create an international network and new opportunities and promotion of Italian excellence in food and wine sector. Italian Chamber of Commerce in Bulgaria intend to promote the project and spread the value of Italian Quality and its real essence that it is recognized worldwide. Main promoters of Italian Hospitality are Italian Restaurants Abroad, nominated as Ambassadors of Italian cuisine and all that come into mind where we think about Italy. It’s absolutely relevant to commend and promote Italian products (food and beverages), territories from which they “come from” and all traditions they keep all along the centuries. Besides, and considering the value of each made in Italy products, we have to fight against counterfeiting phenomenon for Italian food and wine and prevent it as well as we have the duty of support their export worldwide by overcoming those problems related to availability of Italian food and wine. “Ospitalità Italiana, Ristoranti Italiani nel Mondo” Label is at its 4th edition, collecting more than 1.000 Italian Restaurants worldwide (14 RIM certified in Bulgaria), that respect all parameters of high standard of quality of Italian and genuine food and wine products (PDO/PGI). They have been awarded after the approval coming from Evaluation Commission composed by representatives of Institutions and organizations involved into this international project. Upon the approval of Executive Committee of Unioncamere, Italian Chamber of Commerce in Bulgaria will contribute also for the current year to attend the objectives of the project. The purpose is to increase the number of Italian Restaurants certified and create a huge network of companies all around the world. “Ospitalità Italiana Seal of Quality – Italian Restaurants Worldwide” joins the Agenda Italia 2015 launched by Premier Letta in Palazzo Chigi. The project as “Italian Excellence” intend to put in evidence one of the three objectives defined by the Government, on the occasion of EXPO 2015: more than 2.000 Italian Restaurants certified with Ospitalità Italiana, will be the main ambassadors in promoting the role of Italy in the world. An important tool, – declare the President of Unioncamere, Ferruccio Dardanello – for preventing Italian cuisine and its tradition all along the centuries, that it has to be protected from fakes just for defending history, culture, quality and its genuine value; and, at the same time, to uphold consumers by giving them instructions towards those restaurants where they can find genuine tastes and original Italian products. This is a tool to all our Italian restaurants abroad, who are the “Ambassadors” of Italy in different Countries and the best promoters of Expo Milano 2015, throughout Italy could reinforce its image and visibility all over the world. You do not have to forget that feeding will be the main theme of non-commercial Universal Exposition, EXPO2015. “Ospitalità Italiana Seal of Quality- Italian Restaurants Worldwide”, promoted and cofinanced by Unioncamere, is at 5th edition, collecting til now 1.400 Italian Restaurants all around the world (18 Italian Restaurants in Bulgaria) respecting high standard of quality of Italian and genuine products (PDO/PGI) . For fifth edtion Italian Chamber of Commerce in Bulgaria will strengthen promotion activities related to Italian Restaurants in Bulgaria network and, at the same time, and gathering all actions to those organized and promoted directly by Unioncamere, with the collaboration of Italian Chambers of Commerce Abroad, within the framework of Agenda Italia 2015 “Master Plan of Italian Government for Expo Milano 2015” and called “ Italian excellencies: Italian restaurants in the World for Expo”, whose target groups are consumers and business in different Countries. Unioncamere intend to strengthen the network of Italian Restaurants Worldwide with the purpose of realizing activities aiming at promoting the network of Italian companies belongs to broaden supply chain food industry sector. The main objective of this project is to “Tell to everybody that Italy is a country unique in the world. A country rich in traditions, territories unparalleled, companies united by a passion for excellence”. All the Chambers of Commerce in Italy, together with Italian Chambers of Commerce Worldwide will implement various activities, events and communication tools before, during and after Expo 2015, in strict cooperation with the network of Italian Restaurants in the World certified with “Ospitalità Italian Sea of Quality – Italian Restaurants Worldwide”. During this 5th edition Italian Chamber of Commerce in Bulgaria continues to implement promotional events, already well appreciated by Bulgarian public, including also a communication campaign in the Country for drawing the attention on the objectives of “Italian Quality Experience – Italian Food Companies Dimension at Expo 2015” promoted by Unioncamere. contribute to reinforce the image of Italy through Universal Exhibition Expo 2015 as a Country who combines culture, territory and production in a whole, unique all over the world. !Ospitalità Italiana Sea of Quality! will be connected to ITALIAN QUALITY EXPERIENCE, exceptionally for this edition 2015, for attending guidelines defined by Master Plan of Italian Government for Expo Milano 2015. Click here to have a look to the general objectives of the project in power point format. Read the article with description of the project on Italplanet in March 2014. ► Events addressed to target “business”. ► Sending out of all restaurants candidates, identified in full correspondnace with technical requirements, to Evaluation Committee for starting certification process and assessment in order to assign “Ospitalità Italiana Seal of Quality – Italian Restaurants Worldwide”. ► awareness campaign about competitiveness of Italian food and wine production. SIGNA MARIS – Ports and Airports as gateways to cultural and gastronomic heritage of Southern Regions of Calabria, Campania, Puglia (Apulia) and Sicilia (Sicily). Italian Chamber of Commerce in Bulgaria has been chosen as a partner of SIGNA MARIS project, promoted by Italian Ministry of cultural heritage and activities and tourism (MiBACT) – Intermediate Body for Cultural, Natural and Tourist Attractions (POIn) in collaboration with Invitalia, National Agency for the attraction of Investments and development of entrepreneurship. With such a novel objective in mind, Signa Maris interprets the marinas located along Italian coast as gateways to the territory, and invites tourists traveling by boat to avail themselves of the cultural and natural heritage within easy reach of any given touristic port. SIGNA MARIS offers a new way of promoting Italian tourism throughout 38 touristic ports and airports located in Calabria, Campania, Apulia and Sicily as a main access to Italian Territory. Signa Maris project, continuing along its natural path of evolution, constantly augments its own value as an integrated system for promoting and raising awareness of national and international tourism, providing support to the nation and, in an increasingly extensive fashion, delivering an innovative way of presenting the treasures found across the territories concerned in addition to raising awareness of these areas’ unequalled cultural and natural heritage. The project is part of the Unioncamere Inter Chambers Fund – that of the Balkans and the Mediterranean Sea – an area on which the Italian Chambers of Commerce, Unioncamere and the Ministry of Economic Development have already played and continue to play strong promotional activities and partnership actions, given the increasing firms’ attention toward this area. Italian Chambers of Commerce Abroad, operating in the macro-area of the Balkans and Turkey, have many years of cooperation experience in the implementation of joint projects, business contacts, organization of business missions and trade market presentations. These cooperation experiences primarily derived from the participation in Network Projects that allowed them to develop ideas, which over time led to important business achievements. From this, the idea of creating a network of the Italian Chambers of Commerce present in this area, to develop a multi-market approach, an idea greatly appreciated by both businesses and project partners. Partners Abroad: Italian Chamber of Commerce in Bulgaria, Istanbul, Serbia, Bucarest and Athens. Italian Partners: Aspin Frosinone, Unioncamere Molise, Italian Chamber of Commerce in Varese and Italian Chamber of Commerce in Pescara. “Doing Business in the Balkan area & in Turkey” is a project realized with the contribution of the Unioncamere Inter Chambers Fund. CHAMBER PARTNERSHIP comes from a partnership among some Italian Chambers of Commerce, partners of the network Er – Renewable Energy, of which the Italian Chamber of Commerce in Bulgaria became a member in November 2010. The network Er, promoted by Unioncamere and coordinated by Dintec – consortium between the Chamber System and ENEA – aims to present and disseminate initiatives and best practices implemented by the Italian Chambers of Commerce for the development of renewable energy in the agri-food and agro-industrial sectors, in order to combine agricultural activities, supply chain relationships, environmental benefits, efficiency and energy savings. The project is complementary with other ideas proposed to the same network by the Italian Chambers of Commerce of Frankfurt and Munich ad aims to improve the internationalization toward Bulgaria of firms operating in the territories of the Italian Chambers of Commerce involved, through the promotion of technology and know-how transfers, trade ties and assistance, even seizing the opportunities to access Structural EU Funds, for the development of technology related to renewable energy. “Chamber Partnership” is a project realized with the contribution ofof the Unioncamere Inter Chambers Fund. “ITALIAN DESK SOUTH-EAST: Italian Chambers of Commerce Abroad support companies from new EU member countries and candidate Countries for proactive participation in Community programs”. The special project “Italian Desk South-East”, co-financed by the Ministry of Economic Development – funded with the International Trade Law 518/70, involves the Italian Chambers of Commerce Abroad in Slovakia, Romania, Hungary, Turkey, Czech Republic, Bulgaria and Belgium. The Project promotes the proactive role of the CCIE (Italian Chambers of Commerce Abroad) involved in the definition of information, strategies, tools and activities in order to create an efficient support of businesses that wish to be considered for European funding. This is an initiative that, through the implementation and networking of 7 information points and supporting the Chambers in the countries concerned, provides to Italian operators, who wants to invest in central and eastern Europe, know-how and expertise that Chambers Abroad accumulated over time in relation to projects funded through the European Community legislation that have roots in the institutional and business European reality. Italian Chamber of Commerce in Germany, as lead partner, and 17 Italian Chambers of Commerce Abroad (Barcelona, Belgrade, Cordoba – Argentina, Istanbul, Lyon, Lisbon, London, Luxembourg, Monaco, Rio de Janeiro, Rosario-Argentina, Thessaloniki, Sofia, Stockholm, Vancouver, Vienna and Zurich), as project partners, started a program of activities in the area of environmental sustainability and renewable energy, with the focus on the Countries of South-Eastern Europe and, in particular, on the new EU Member States. Additionally, Italian Chamber of Commerce in Sofia is the main coordinator in the area. The project is co-financed by the Italian Ministry of Economic Development and has three main goals: a dialogue between companies from technologically advanced countries and companies from countries where it is urgently needed the implementation of technologies for the reduction of waste and its enhancement; help Italian companies to take part in a competitive way in foreign markets; stimulate the creation of partnerships between Italian companies and businesses in Central and Northern Europe in order to create common technologies in countries that urgently need to develop environmental sustainability. The Italian Chamber of Commerce in Bulgaria, along with the Lisbon and Melbourne Chambers, is a partner of the Project Area Aerospace. The team is led by the Italian Chamber of Commerce in Germany and already includes the CCIE Frankfurt, Canada, France, the United Kingdom, Czech Republic, Spain, Sweden and Switzerland. The project, co-financed by the Ministry of Economic Development, is part of the general objectives of the MISE, which allowed the financing of 78 industrial projects in the field of aeronautics and electronic defense, for a total of 480 million euro. The main aims of the project are to create and consolidate a network of contacts and international business dealings, to enhance the excellence of the various Italian districts abroad, to allow the access to SMEs in international projects, to develop the companies relationships with an effective exchange of good practices, in order to enhance the level of innovation and to stimulate an industrial sector that creates a multiplier effect on the whole national industrial sector. Italian Chamber of Commerce di Biella, in collaboration with API Biella, Confartigianato Biella and with the Italian Chamber of Commerce in Bulgaria, coordinates the project B2B Biella with the aim to promote the development of entrepreneurship biellese through targeted promotion activities: to the participating companies will be offered a path of “accompaniment enterprise” which provides customized training sessions, targeted assistance and participation in promotional activities, follow up and post=mission support during different stages of their internationalization process with Bulgarian partners.